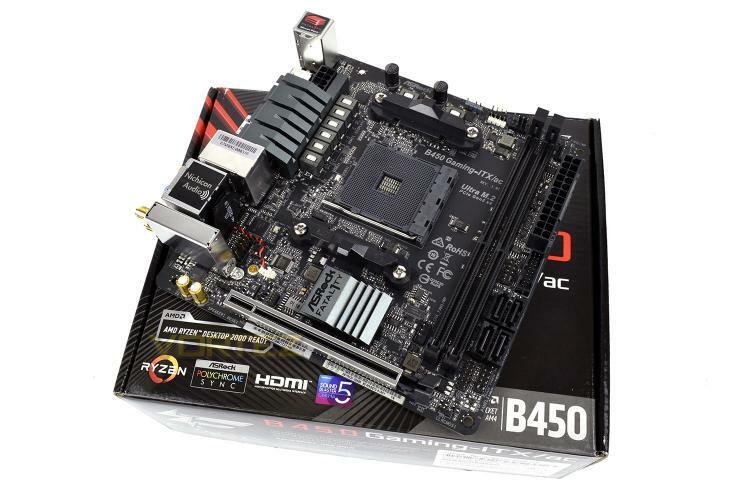 A few weeks back, we looked at the ASRock B450M Pro4 and were impressed by its value for money and performance figures compared to similar X470 chipset ‘boards. This time around we’ve dropped a Mini-ITX ASRock board onto the test bench to see how well other models in their line-up perform. Despite the Fatal1ty Gaming-ITX/ac’s small stature, it’s packed full of features including WiFi, M.2 NVMe storage options and Nichicon audio, making this ideal to be used as a small gaming PC. Lending itself further to the gaming-orientation of this motherboard is the Fatal1ty branding, a brand which has, no doubt, been around longer than some of the readers of this article. The Fatal1ty brand has been adopted by manufacturers for years, usually being deemed as a pre-cursor to items with a clear design aim towards gaming. You may be a little put off by the lack of stature, assuming it won’t perform as well as a larger motherboard, well read on to see how it performs.